A full review of the Goal Zero Boulder 100 Solar Briefcase. 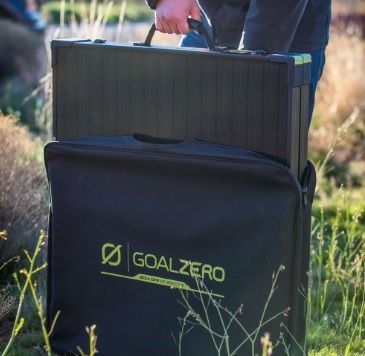 Let’s introduce the Goal Zero Boulder 100 Solar Briefcase. It is capable of outputting a maximum of 100 watt and is made of monocrystalline solar cells, which give more charging power per square inch. This solar panel is created to be portable and yet lightweight. This is enabled by the rigid aluminum frame and strong tempered glass, which can also take up a lot of rough usage to which you will potentially subject it. With a protective canvas bag, you can carry the unit anywhere you want. It is the perfect companion for any off-grid scenario, for camping trips or emergencies. 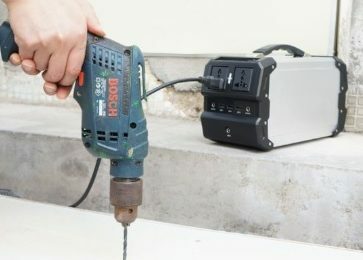 The Boulder 100 does not require any additional charge controllers or cables. 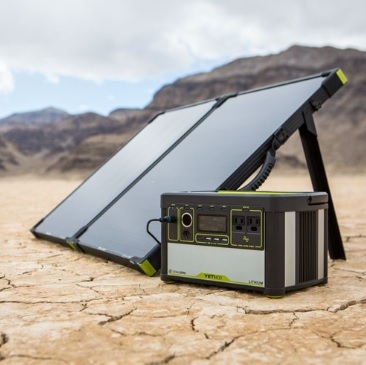 You simply plug it directly into the Goal Zero portable solar generators and it will charge like a charm (5 foot cable included). You are also given the option of chaining it to other compatible solar panels to cut down on solar recharge time. You can set up you solar briefcase whenever and wherever you want, thanks to the adjustable kickstand for ultimate movability. And to spice things up, it is also weatherproof. With this purchase, you will get the Boulder 100 Briefcase with cord and Built-in kickstand and to make your briefcase more portable a Canvas Carrying Bag. It will look like you are an artist, but instead you will be carrying power. 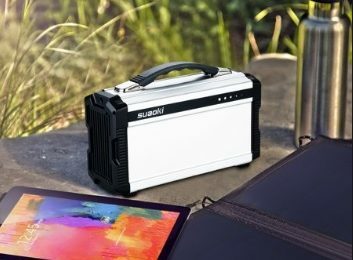 This portable solar briefcase has the 26.8 x 40 x 1.8 inches and weighs 25.9 pounds, which is light considering the amount of power you are carrying. 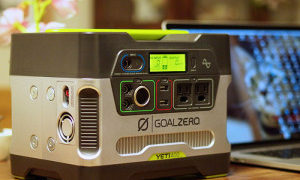 Check out the Goal Zero Yeti reviews. If you are in need for a solar briefcase, this is the top pick for you. Goal Zero Boulder 100 Solar Briefcase is highly efficient and easy to carry solar solution. Goal Zero has once again made a durable and at the same time lightweight product that will take your off-grid experience to a completely new level. The quality is here, the pricing is reasonable, the unit is highly recommended, so don’t wait any longer. 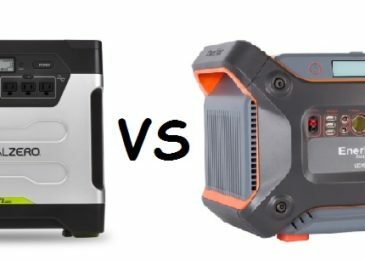 Next Post How to choose the best solar briefcase?